What does it take to get foreign audiences to read Russian authors? Publishing house Glagoslav is working hard to raise the profile of lesser-known authors from Russia, Ukraine and Belarus by printing translations in English and Dutch. We spoke to the company's head and editor about Glagoslav's work and goals. Translating and publishing classic literature is a win-win for every publishing house. People would rather buy a book with a well-established reputation than a contemporary one, as otherwise there is no guarantee they will be satisfied with their purchase. However, there is one publishing house that is translating contemporary authors and is not too concerned with profits. Its goal is to introduce new Russian names to English and Dutch-speaking audiences and help readers learn more about contemporary Russian thinking. Glagoslav is the only company to entirely specialize in translations of modern Slavic literature into English and Dutch. It first appeared in 2011 and currently publishes approximately 25 books per year with a circulation of 1,000-2,500 copies each. You can buy their books virtually everywhere: from Brazil to Canada and from Amazon to Bol.com. RBTH asked Maxim Hodak, the managing director at Glagoslav Publications, and Ksenia Papazova, Glagoslav's editor, which books they translate and what challenges they face as publishers of Russian literature in translation. RBTH: How did it all start? Who was behind the idea and the first publications? Maxim Hodak: It started when we realized that the presence of Slavic literature in translation on the international book market was very limited. 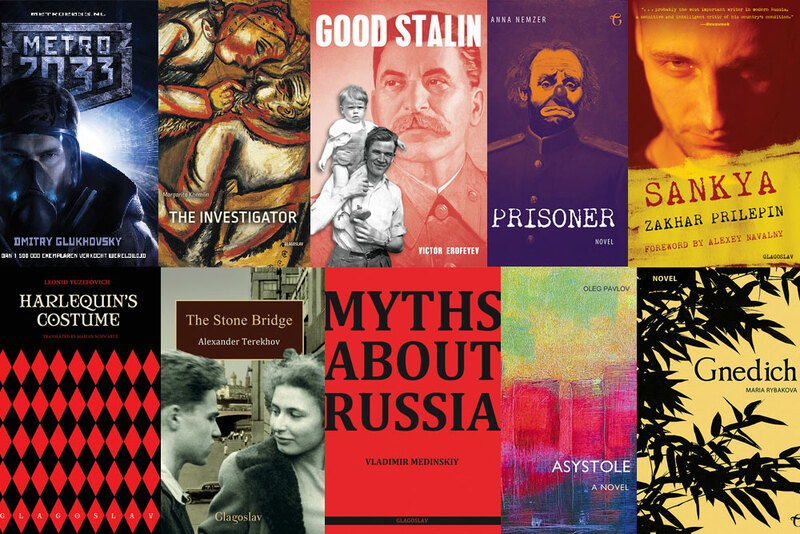 There are special divisions for translated literature at major international publishers and a number of small independent presses that translate Russian literature occasionally along with other literatures from around the globe. However, none of the publishers specialize in translations of Slavic literature into English entirely. By that I mean Eastern European literature and specifically Russian, Ukrainian and Belarusian works. Another reason for Glagoslav's appearance was to introduce English-speaking readers to contemporary Slavic literature, as the amount of this literature available in translation is even smaller. Among the translations that appear nowadays, you can hardly find any modern Russian literature, as publishers mainly focus on the Russian classics such as Tolstoy, Bulgakov, Dostoevsky and other well-known names. RBTH: Why are Dutch and English the two languages that you work with? M.H. : The idea of translating into two languages was a strategic decision. Since our aim is to bring Slavic literature to a broad audience, English seemed to be the best option in terms of achieving our goal. More and more people around the world can read English and this means that they can enjoy Eastern European authors in translation. We receive orders from Japan and South Korea, for example. Our second office is located in the Netherlands, where the majority of our staff lives and works. Thus, the second division of Glagoslav appeared to bring more translations of Russian literature to Dutch readers. RBTH:What is the main challenge for a publisher of Russian literature in translation? Ksenia Papazova: One of the great challenges is to choose the books that we want to translate and publish. There are so many brilliant books that have not been translated yet, but you have to limit yourself to just a few of them. It is a heartbreaking procedure for us at times. So, we had to make a very unusual decision - we try to publish one book per author to make it a bit more fair. Yet, there are still so many books and so many authors waiting to be discovered by English readers. RBTH: Which Russian books are currently in the pipeline? What would you recommend? K.P. : Questions about our upcoming titles will always be my favorite questions to answer. This summer, you can look forward to a wonderful gift for all admirers of Bulgakov. Since this year marks the 125th anniversary of Mikhail Bulgakov’s birth, we will be publishing a biography, Mikhail Bulgakov: The Life and Times by Marietta Chudakova, who is an expert on Bulgakov’s works and chairs the Bulgakov Foundation. We have a great present for poetry lovers, too: the amazing Shards from the Polar Ice: Selected Poems by the amazing Lydia Grigorieva, translated by the amazing John Farndon and Olga Nakston. Do not be put off by the repetition of the word "amazing," as this is that rare case when a harmonious combination of great poems by a great poet, translated by a great duo of translators, is the key to success. Later this year, we will publish The Shirt by Yevgeni Grishkovetz, the second novel in our portfolio by Elena Chizhova, the historical novel The Nuremberg Trials: Forever and Ever by Alexander Zvyagintsev, and a thriller, Time of the Octopus, by Anatoly Kucherena. More interesting titles will follow. RBTH: What is your all-time bestseller? K.P. : There are several bestsellers at Glagoslav. To name but a few they are: Kobzar, a collection of poems by Ukrainian poet Taras Shevchenko; a Dutch translation of Metro 2033 by Dmitry Glukhovsky; and Gnedich, a novel-in-verse by Maria Rybakova. As you can see, all these books are very different, so this means that our readers are diverse, too. RBTH: Why are these books popular? K.P. : It was fairly predictable that Kobzar would sell well, as it is one of the classics of Ukrainian literature. The classic authors tend to sell much better than contemporary authors. It is safe to read the classics: the "classics" label is a guarantee of quality, so you are not likely to regret buying the book and reading it. QUIZ: What to read from Russian literature? Contemporary authors do not get as much attention as perhaps they should. However, it makes me very happy to know that readers who are interested in Russian literature know more names than I expected them to before starting my career in publishing. In addition to books by literary giants like Tolstoy, Dostoevsky and others, they read Lyudmila Ulitskaya, Tatyana Tolstaya, Viktor Pelevin, Alexei Ivanov, Elena Chizhova, Zakhar Prilepin, Serhiy Zhadan and Aleksandr Solzhenitsyn. What about the "Metro" series and "Gnedich"? K.P. : As for the Metro series by Dmitry Glukhovsky, its success was quite predictable, too, as the people who read these kinds of series form special communities and are usually very loyal and motivated to keep reading the books. This is a treasured niche for publishers. As for Gnedich, it is a real gem. We didn’t expect this novel-in-verse about Gnedich’s translation of the Iliad into Russian to be of interest to English-speaking readers. It is true that Nikolai Gnedich (1784-1833), a romantic poet and the first person to translate the Iliad into Russian, was a very authoritative and important figure in Russian philology and poetry, but what can he have to say to English-speaking readers? Well, it seems that this book has something important to say to them too, and this simply demonstrates the magic of words.